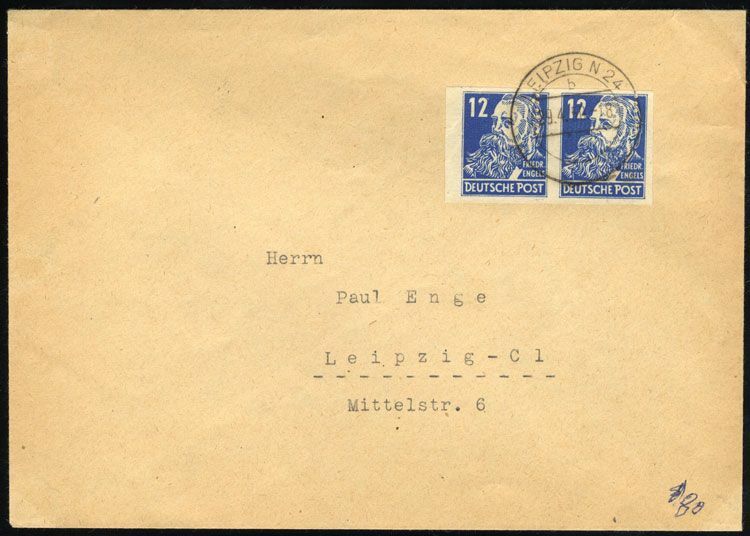 1948 local Leipzig cover franked with imperf. pair of 12pf dark blue, each stamp with six punched perf. holes at top, also postcard with defective but completely imperf. marginal single, cover with ink notation at bottom, otherwise v.f.